Recently we showed the results of the project for our client Rex Kralj. And as with so many things in this visual world, we do not always see the long road to the results. While one can not exist without the other and often it takes blood, sweat and tears to get there. That gave us the idea to create this ‘behind the scenes’ blogpost in which we share what the process behind a branding assignment really is. Are you curious? We would love if you took the time to read about it. Our home page says: What we do is versatile: interior projects, an interior collection, brand strategy development to blogging. Above all, we are concept creators. A strong idea is the starting point for any project. Exactly what we did at the start of this project of creating a new catalogue. Sometimes it seems that it is just ‘shooting pretty images’ which is but that is certainly not the case. Our client provides us with all relevant information. With this assignment we visited Rex Kralj in Ljubljana, Slovenia. In two days we were showed the complete collection. 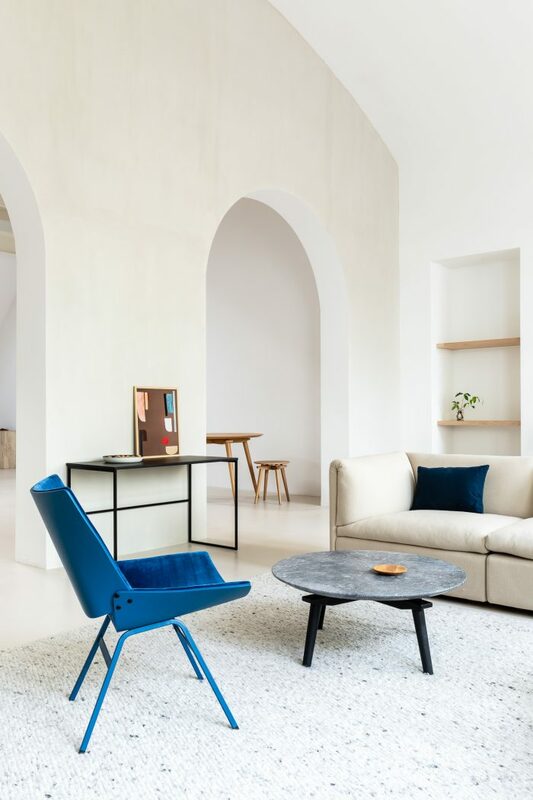 There are changes in details of the current collection, new materials and finishes and new furniture pieces to explore. We take pictures, talk about commercial details and the focus group of the catalogue. Meanwhile Meanwhile, the cogs turn in our heads to come up with a suitable concept for this information. We brainstorm about ideas and also consider practical matters. For this project we worked with a hard deadline: the catalogue should be launched on the IMM Cologne trade fair. After the concept fits together as a puzzle piece, we translate this into a story. The concept for this catalog is to spend a day with a female creative entrepreneur. This ties in with the previous Timeless catalog where we follow a photographer in his day. The main character Nina creates, just like we would do, small parts of an interior with Rex Kralj furniture as inspiration. Moreover, she experiments so that readers become aware of the possibilities that the Rex Kralj collection offers. We work out the scenes in detail in which a piece of furniture is always the focus point. We determine which piece of furniture this will be and in what material and finish. The client quickly started to make all necessary pieces of furniture and arranges transport from Slovenia to the Netherlands. In the meantime we put a practical layer over the plans and answer the following questions: where are we going to photograph these scenes, which props are needed to create the right atmosphere and who will capture the image and in what way? The end result of this puzzle is a large document with atmospheric images, summaries of styling elements and a script of the days that we will photograph. We discuss with story with graphic designer Naomi den Besten who will make the visual material the final catalog. At this point she starts with a rough design of the catalogue so that the images can be inserted there quickly. Hereafter follows a lot of work. For this Rex Kralj photo shoot we actually had a location in mind. 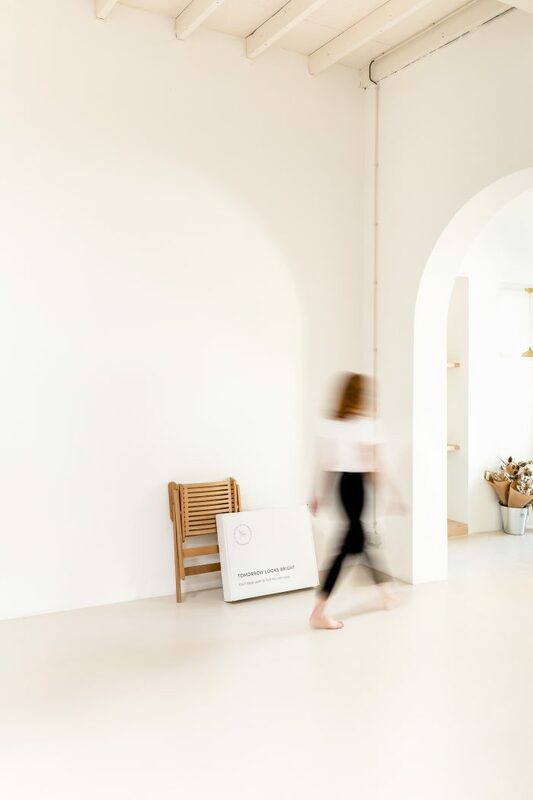 Pantoufle Design, the store and studio of Esther Blankers, is the perfect place for light and space. Moreover, it offers many corners and see-throughs where you easily can create atmosphere for an image. We need four shooting days for this catalog. Every day we shoot at the same location so that the image will have a uniform appearance. Photographer Marieke Verdenius will capture the images. Her fresh and light style of photography perfectly matches the desired visual material. We collect all props ranging from paint and background screens to beautiful bedding and the custom-made quilt on the daybed. Everything you see in the picture has been thought about and is arranged. 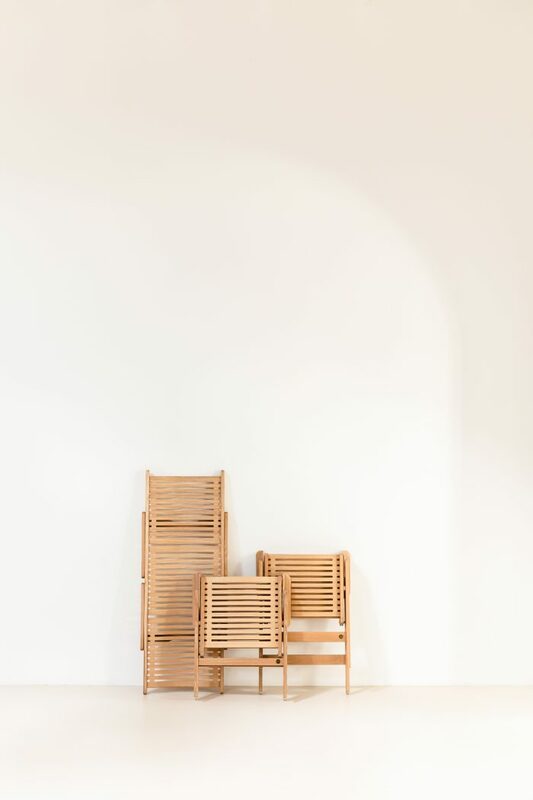 In a large warehouse we collect all the furniture and supporting material. We organize it so that it is ready per shoot day. To transport the furniture and all things we arrange a large transport truck. After weeks of preparation, the shoot days are the best days where everything comes together. We pick up the furniture and drive to the shoot location. Then we unload it and get everything ready to create the scenes of that day. On some days we had help from our employee Thijs who is also used as a model. Tessa herself is also in some of the pictures to create the idea of ​​a female main character. 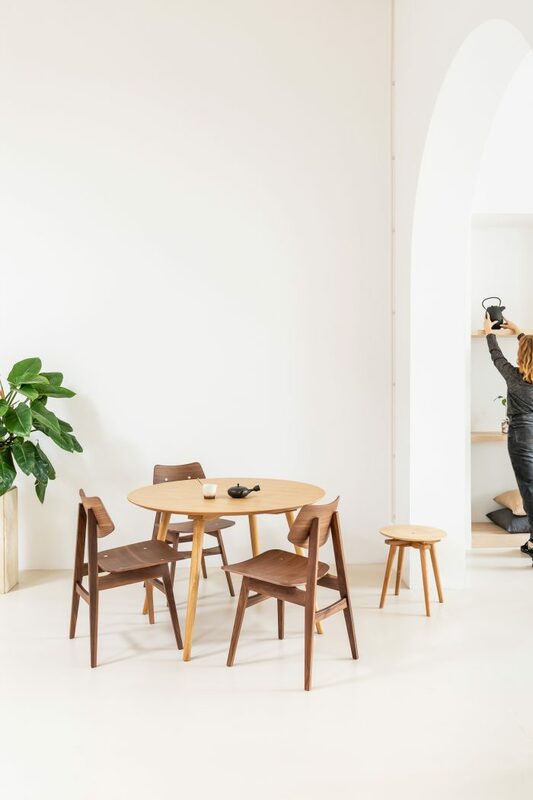 Marieke prepares her camera, adjusts it perfectly to the light and together we look at how the image and the furniture look in detail. When photographing an interior it often comes down to millimeters. We push and pull until everything is into place and the entire image exudes the right atmosphere. With some scenes this goes very smoothly, with others it takes longer than expected. Despite the hard work you get a lot of energy to see it in reality. 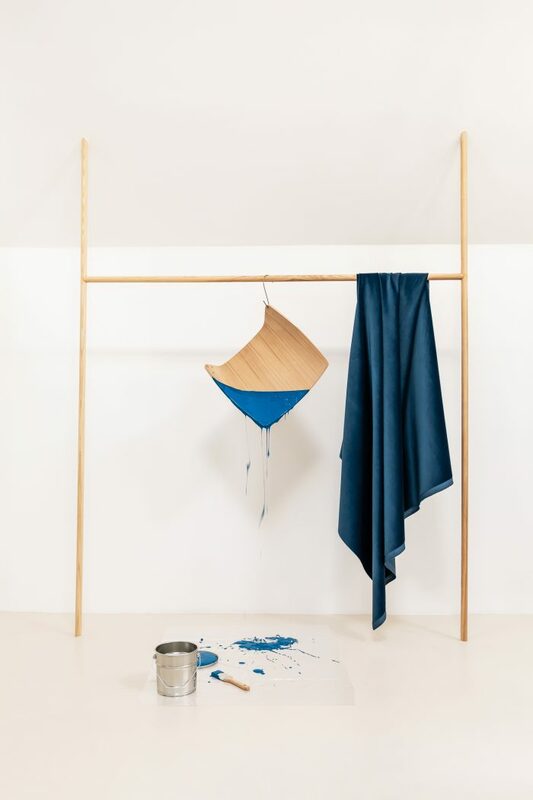 At the scene that the main character is experimenting with blue paint, we had to capture the right moment to see the dripping of the paint in a beautiful way. Summarizing, we can say that these days are a lot of fun. We love working with a fine creative team for images that will be inspiring and have the right atmosphere. As soon as the shooting days are over, the work is not finished yet. The same way everything has come, everything has to go back again as well. The most heavy task of this is the furniture that has to go back to Slovenia. But borrowed styling elements are also neatly returned to its owners. Our biggest part of the work is completed with the making of the images. Nevertheless, we are also involved in all aspects afterwards until the catalog is ready. The images are edited and Marieke checks whether the editing is to our liking. At this stage Naomi designs the catalog in the smallest details. This is an immense job in which the general story goes hand in hand with an enormous amount of technical information. 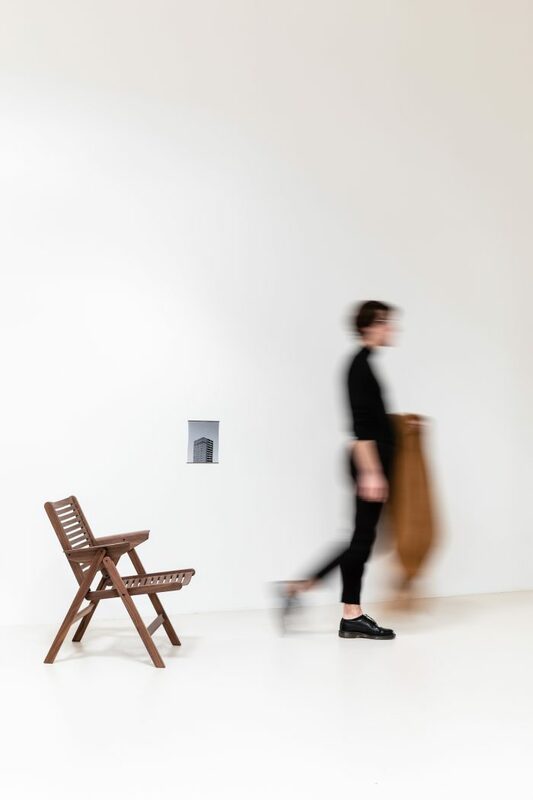 At our request, she designed a special icon that makes it clear that certain furniture can be fully adapted to personal wishes. In consultation with Naomi we express our preference for the type of cover and paper type. We wanted this catalogue to be in the form of a book. Next comes the exciting point that the catalog goes to the printer. After a few weeks we finally get to see the first copies. A festive moment where the efforts of all team members and months of work come together in the result: the beautiful catalogue Variations.